This is a one-year bridging programme – think about it as a prep year - to get students into the diploma course of their choice. Rebecca used the PFP and enrolled in the Diploma in Animation. 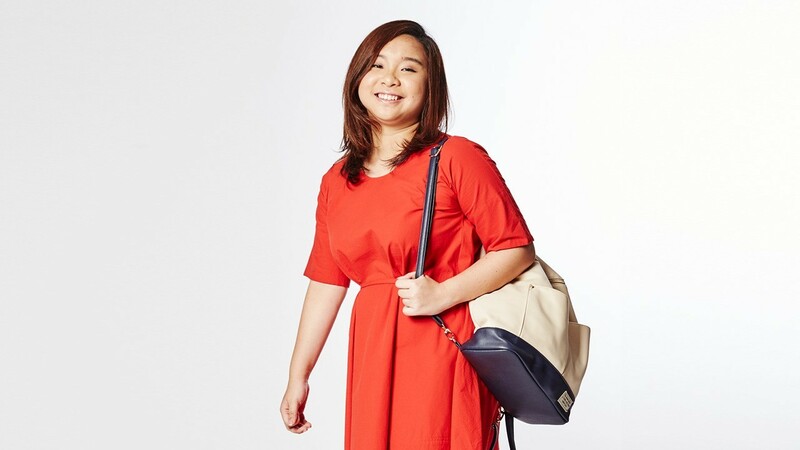 During her time at NYP, she exhibited her works at the ArtScience Museum, and had a chance to intern with Walt Disney Company’s Southeast Asia arm. Her skills eventually clinched her a full-time job offer! We spoke to Rebecca about her PFP journey. Why did you choose the PFP route? When I first received my N level results, I did not expect to do so well. When I realised I was eligible for the PFP, I was thrilled as I knew this was an opportunity for me to skip the O levels, and enrol in a course that I wanted. This route was definitely a more relevant and exciting pathway to my dream course. How has the PFP at NYP benefited you? I’m part of the pioneer batch of PFP students here in NYP. The foundation year gave me a taste of polytechnic life ahead of my peers. I got to study two modules which were related to my course, which was a lot more helpful than having to go through the usual path of taking the O levels. The PFP also got me more accustomed to independent studying – we were not spoon-fed information unlike back in secondary school. So, all in all, PFP really benefitted me by giving me a smoother transition into Year 1. It was a good head start. What did you learn during your PFP year? We had the usual Maths, English, and Life Skills classes, as well as two other relevant subjects, which for me, was Art and Design, and Technology. Because we got to experience polytechnic life ahead of our peers, and had a whole year to get accustomed to the environment and the polytechnic’s system, it was super smooth sailing in Year 1 of my diploma. Also, if you had no prior experience, the PFP will greatly aid you by teaching you two relevant subjects that will help you build a foundation before entering Year 1. Was it hard transitioning from the N Levels to the PFP? There was definitely some pressure as you’ll have to pass all your modules in the PFP in order to qualify for Year 1 in the polytechnic. I was still able to cope with the pressure somehow. What was assuring was that the PFP retains some elements of secondary school work like English and Maths. In comparison, I would say that going from the N levels to the PFP is much easier than transitioning from the O levels to Year 1. What advice would you give to those who hope to pursue such a path? Why not? If your results qualify you, you should go for it and not let the chance slip by! This is especially so if you are sure that you want to take the polytechnic route. However, do not aim for the PFP only because you want to graduate as soon as possible, but aim for it to prepare yourself for your diploma course. Some friends who made it to the PFP realised that it did not suit them. Do consider carefully what you are suited for, and identify the courses based on your interests, aptitude, and future career plans. Obtain more information on the courses offered and discuss the various options with your parents and teachers.